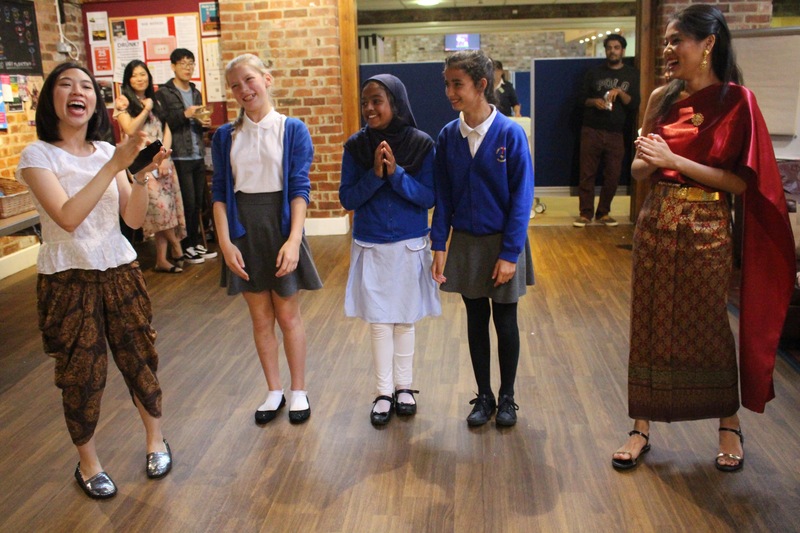 On 11th of July, the Ustinov Global Citizenship Programme (GCP) hosted students from Corporation Road Primary School in Darlington. As the first step of a larger engagement initiative with local schools, we aimed to introduce the students to the university and college life by having several activities in the university campus and at Ustinov College. We had a full program from 9:00 to 14:00, including many activities like visiting the university library, Qas with university students about their experiences, a tour in a student college room, cultural performances, demonstration of science experiments, a creative writing workshop and a feedback session with the primary school students at the end. Through these activities, we hope that students could have a taste of academic and social life in university and the college. Based on the feedback we received, it was obvious that the students got inspired and most of them wished to be a university student in the future. According to the teacher Ms Jenna Wade, many of these primary school students came from challenged backgrounds and had never considered, or been exposed to, the idea of a university education. But during the bus ride back to Darlington, they were all talking not just about what they’d like to do at university, but also how they’d like to get there! As much as these school kids might have learned from this trip, we at Ustinov College also learned so much from them. Coming from over 100 different countries, many of us unfortunately spend our days within the College or our respective departments. This day was a wonderful chance for us to directly learn about local life and better appreciate the valuable diversity here in the north east of England. 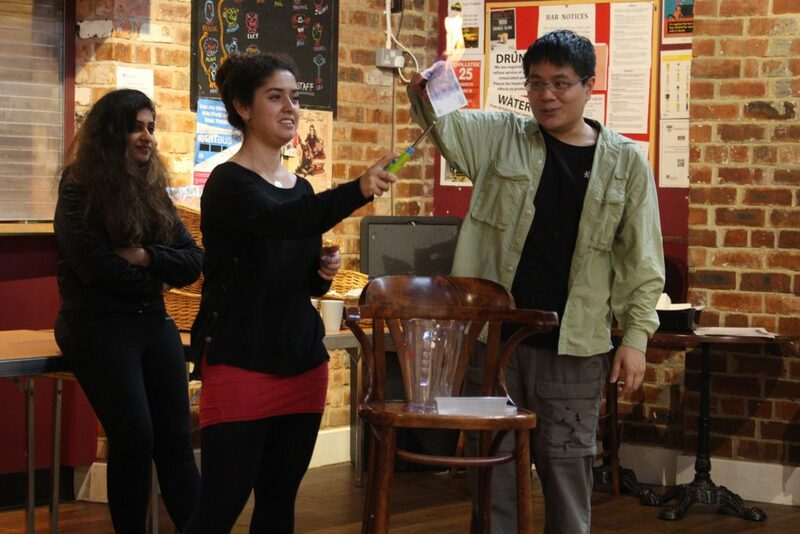 As a member of Café Scientifique, personally, it was a very motivating and valuable experience for us to be able to interact with these students who have been very interested in the university life itself (e.g. where we live, what inspired us to study the certain subjects, how our lectures look like, what languages we speak, and how we socialize). And at the end, all the GCP members who contributed and the primary school students themselves had so much fun that they left the college with a big smile on their face! We started preparing for this weeks before, beginning with an introduction by Dr Lorraine Coghill of the Durham University outreach team to the teacher Ms Jenna Wade from the school. 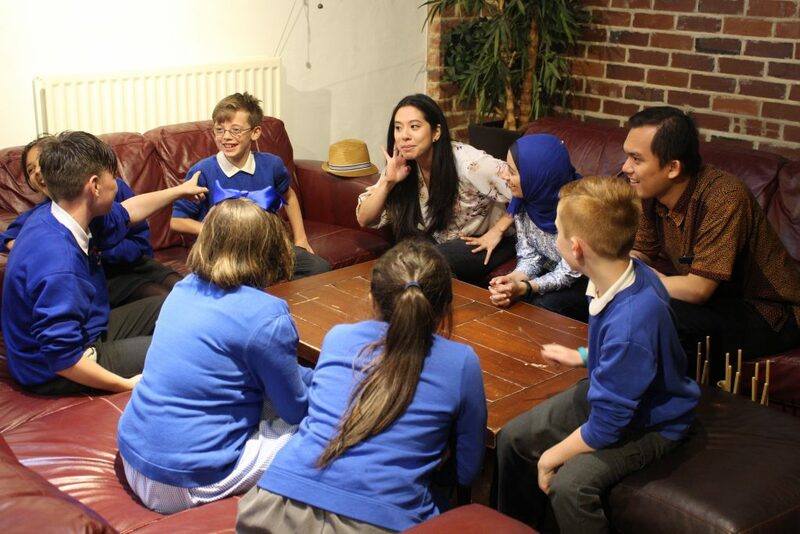 Since this was the first time the GCP hosted an event specifically with primary school students, our wonderful member Vicky Meaby (who is a school teacher herself!) did a workshop with us to share her wisdom. In addition, Sarah and Ross of Culture Durham were extremely helpful in preparing a fun-filled tour of the Bill Bryson Library and the Palatine Centre. Thanks to the genuine help of Jenna, Lorraine, and the contributions of many GCP members, Ustinov College staff, and many others in organizing the events, we could find the chance to have a great day with students and I am sure we have learned from them as much as they have learned from us! Students shared what they most enjoyed about the visit and told us a wish they had for the future. Here are a few quotes depicting what the primary school students expressed. Stargazers of the World, Unite!